My three children are ages 9, 7 and 6 and they love tech products……in fact, they are usually able to show me things that I didn’t even know about my own tablet. In the past, I always made sure to watch over them whenever they were playing with any of my devices because I was concerned about them having access to inappropriate content. 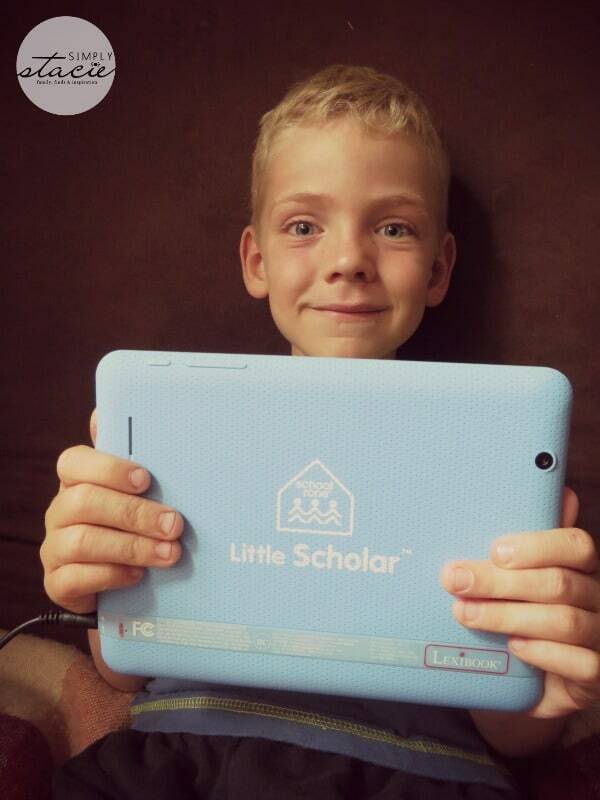 That is why I was so excited to discover the latest kids’ tablet, Little Scholar by School Zone. What makes this table designed just for children ages 3-7 so exceptional is that it comes pre-loaded with a whopping 150+ educational apps that are all age appropriate. It features learning games, videos, songs and e-books for preschoolers, kindergartners and first graders focusing on core subjects such as math, reading, spelling, logic, creativity and geography. I home educate my children so it is always important to find good quality educational resources. Since technology is becoming increasingly necessary in the “real world” I make sure to incorporate this content into our curriculum. We have been using School Zone workbooks for years and I have always been impressed so I was quite pleased to learn that the Little Scholar content is the same high quality. My youngest son, Jacob is entering into the first grade and Hannah is going into second grade. 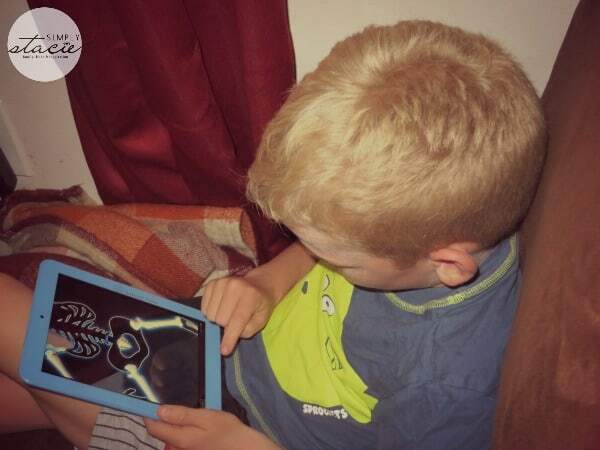 Jacob immediately got excited to try out the tablet and even Hannah found it to be a wonderful way to practice her learned skills over the summer break. Little Scholar is an exceptional tablet that doesn’t skimp on the quality of the device with an easy to use 8-inch screen and it runs with a Google Android™ 4.2.2 operating system. It includes a camera, good sound quality and since the apps are preloaded it is easier than ever to get started….no painstaking downloads and expensive additional apps to buy like other product brands that I have purchased in the past. That will definitely bring us significant savings over time. I also appreciate that it has password protected parental controls so it eliminates the worry that I have to constantly watch over them while they are playing. My children were immediately drawn to the colorful, fun graphics and really like the characters from Charlie & Company. 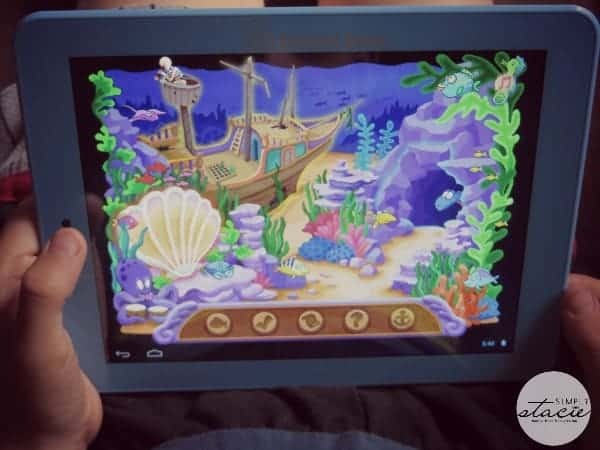 Jacob and Hannah both report that the games are “lots of fun” and I often find them curled up and practicing their early reading skills with the interactive eBooks created by educator, Dr. James Hoffman. Since they have starting using Little Scholar, my children often ask to play with this device instead of their other computer games and tech devices. I am delighted that they are having fun while learning important early learning skills. It is obvious to me that School Zone put a lot of attention to all the details of this wonderful kids’ tablet. You are invited to visit School Zone to learn more about all of the features included with this product or to purchase your own Little Scholar! It is available for the SRP of $199. i really like the on track math 2 … i actualy have the on track 1, and will need to order the 2 next, my daughter has trouble with math.. This looks like something my oldest daughter could use to teach my grandson. I learned that the tablet comes pre-loaded with over 150 apps, much more than I have noticed on other similar learning toys! I learned that they come pre loaded with apps, my son would absolutely LOVE this! I love all the workbooks they have, when our daughter was in the lower grades we used some of the books for out schooling. I learned that they have been around for over 35 years and make products for toddlers up to grade 6. Love that it has password protected parental controls!!!! I like the Big Spelling 1-3 Software and book combo. I like the flash action multiplication software for 4th grade. I love that School Zone has products for toddlers all the way up to grade 6. I teally like the Bible workbooks. I like that the tablet comes with a lot of apps, that it has a camera, and the report card feature. I also really like that they cover a large range of ages/grades. My son is going into Pre K and he really loves work books! I would be interested in getting a few of them for him. I love that there are more than 150+ apps on the tablet for children to learn! I learned that this tablet comes with preloaded apps. I love that this tablet is loaded with so many educational apps! They have flashcard, work books, There items look so good. I’d love this for my daughter’s 3rd birthday that’s coming up! I learned that it comes with pre loaded apps. I also learned that all of my kids could get use of this since it goes up to grade 6, which is wonderful! The preloaded apps look great! I like the Pre school Bible tools. Looks like a great way to start teaching my little girl about the bible. I really like the Beginning Reading On-Track Software. I love that it grows with our children! Great that it goes up to 6 th grade! I like all the different flash cards they have available! Interested in the Beginning Reading and Spelling offerings. I learned that it comes with 150 plus apps. Yeah….. I love the flintstones coloring books and activity books! I learned that the tablet comes pre-loaded with lots of apps. I like the the Preschool flash cards comes with the alphabets, numbers, colors & shapes and pictures words. Would be a great learning tool for my son. I love all the learning apps and flashcards. I have always liked their workbooks.